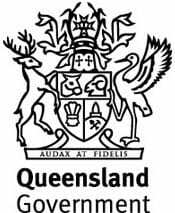 Our Childcare Facility is also a Long Day Care Queensland Government Approved Kindergarten Program Provider which operates 48 weeks of the year from 7.30am- 5.30pm Monday – Friday. We specialise in multi age education and the care of children aged from 15 months to 5 years of age. Our centre is designed to be a small boutique-style service where children and families can spend several years. Our centre aims to create a nurturing, caring environment for all children and their families. We aim to provide an environment conducive to play. Play is the way children make sense of their world, and is the natural way they learn. We follow the Early Years Learning framework and the Queensland Kindergarten Learning Guidelines each with 5 major learning outcomes for all of the children at our centre. The program and the environment are carefully arranged so that children have access to a range of resources that challenge to develop new skills or practise recently acquired ones. We believe that children are capable and competent learners and our program focuses on their strengths and interests. Our program is developed and negotiated by both the children, families and teachers, allowing the children to feel empowered in their own choices. While our routine is structured it is highly adaptable and flexible. For additional helpful links regarding rebates, early education and child care standards see our page of Resources and Links.